Boaz talks about First Fruits of Zion, and particularly, what the name First Fruits of Zion really means and why this is so relevant to our message, especially today. One of the most important concepts in Christianity is the message of the gospel. The gospel is central to our faith. It is the nucleus of what we believe. It’s what makes us believers. But is the message of the gospel what we think it is? Read this synopsis from episode 8 of the FFOZ TV show, A Promise of What is to Come. Most of us probably know that Jesus died at a place called Calvary, also known as Golgotha. But why was it called that? Does it have any significance beyond being merely the place name for the location of the cross? Does it symbolize something? As disciples of the man who died at Golgotha, we should probably know. Read this and find out! Christian teaching emphasizes the story of the conversion of Saul the Jew, a persecutor of the early church, into Paul the Christian, as a pattern for Jewish believers to follow. Just as Saul renounced Judaism and even changed his name to Paul, so too, Jewish believers should renounce their old allegiances and embrace their new identity in Christ. However, a careful reading of this event in its historic context tells a different story! Every year during the celebration of Purim, the Jews read the book of Esther with purpose, intention, and community-wide participation. Even though the book of Esther never mentions God once, his invisible presence is there. Tikvah Michael shares her thoughts about the presence of God even though the Jewish people have come close to annihilation several times throughout history. The Custom of Giving Gifts at Purim—a really fun time of year for adults and kids, and here in Israel the happy atmosphere can be felt throughout the entire Hebrew month of Adar! Includes a good Hamentashen recipe. Filled with mystery and strength, Israel’s northern front holds the hearts of many Israelis. Join Shayna Michael as she wanders through this part of the land of Israel and discovers the mystery of faith in nature, history, scripture and Jewish mysticism. Part 4 — Early Spring, 1948. 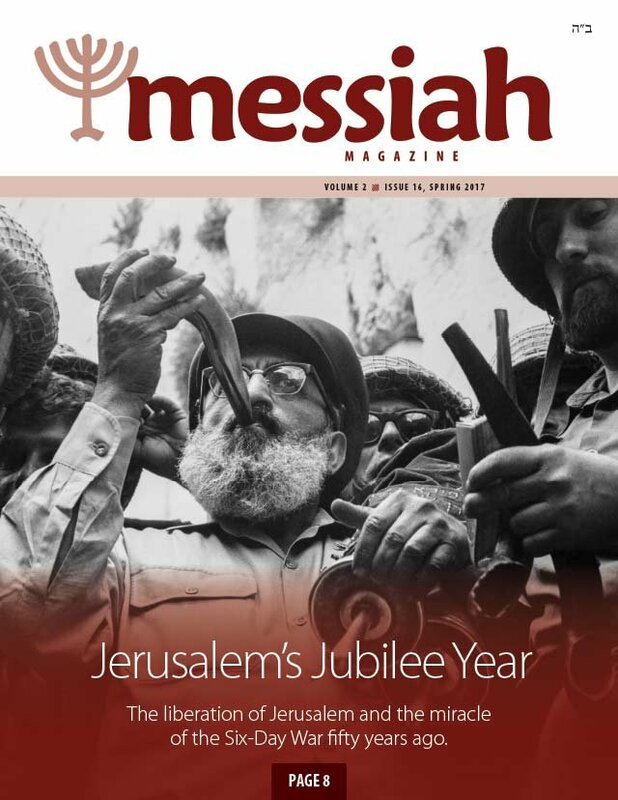 Read the fourth part in this series from Pauline Rose's eyewitness account of events in Jerusalem during 1948. Pauline's first-hand accounts, her eyewitness testimony, diary notes, and letters of correspondence written in Jerusalem between 1946 and 1949 have been published in her book Siege of Jerusalem, which we now proudly present here. A testimony from a teacher in Israel affected directly by a recent terrorist attack. Learn how to increase the good when you are surrounded by evil. This is a challenge faced by everyone, but especially on a national level by Israel whose people are surrounded by others who have evil intentions. As Passover approaches, it is now the ideal time to look into the value of the traditional Jewish seder. In a very real way, the traditional seder the Jewish community has cherished for centuries is already inherently full of messianic undertones in that it anticipates the redemption yet to come. And the Vine of David Haggadah is really traditional with interwoven selected messianic readings, ideal for your Messianic Jewish Passover. Most of us probably already know that the word “gospel” in our New Testament is translated from a Greek word that means “good news.” So at this point it’s natural to wonder, how on earth is it “good news” that we have to repent of our sins? That sounds more like bad news. Jacob Fronczak challenges us to understand the meaning of the “good news” of the kingdom. The month of Adar is the month of the happy festival of Purim. Kids, have fun while you discover treasures from the Bible in stories, solving mysteries and playing word games! Answering your everyday Messianic questions. 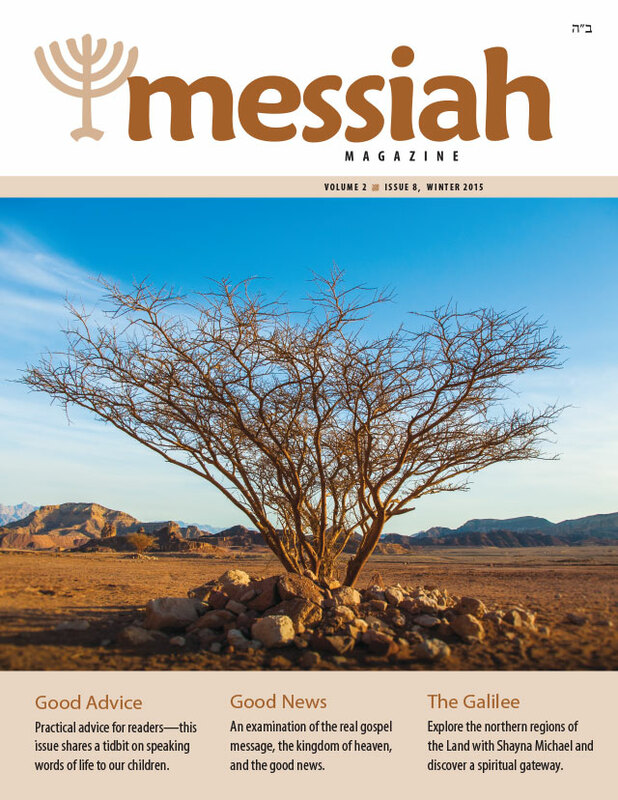 In this issue we answer a question about parenting, irritating parents, and whining children, and how to bring peace and blessing into your home.